We appreciate you spending time to visit our website. We are professionals with a sincere interest in your well being. We are passionate about our commitment to excellence in dentistry and will do all we can to extend the highest quality of care available. If you have any questions or concerns, please let us know and we will be happy to help in any way that we can. Drs. 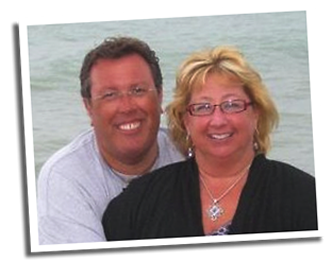 Mark Kolosionek and Cara Fawcett maintain a dental practice that keeps up with state of the art technology in a family friendly atmosphere. We offer early and late appointments, use digital x-rays for minimal radiation exposure, and offer single visit, most accurate fitting crowns for the comfort and convenience of our patients. We also offer a wide range of services to meet all of your dental and esthetic needs. Our whole staff looks forward to meeting you and earning your trust as you become part of our dental family.